Oral healthcare is an integral part of overall health and well-being, and it is a significant and increasing challenge as people grow frail. Incidence of caries and gingivitis among residents of long-term care facilities are on the rise, and daily oral hygiene is often difficult for patients who are frail or in need of assistance. 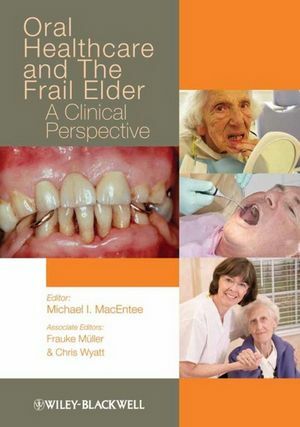 Oral Healthcare and the Frail Elder: A Clinical Perspective provides dentists, dental hygienists, and other healthcare professionals with comprehensive, practical instruction on managing the multifaceted oral healthcare needs of frail elders. By discussing background information and relevant literature, the book provides a holistic approach to clinical issues such as oral pain, dry mouth, and periodontal disease. Edited by experts in the field, Oral Healthcare and the Frail Elder enhances clinical application with thorough reviews of pertinent social and ethical issues, access to care issues, and the practicalities for overcoming these in order to provide high-quality oral healthcare to an aging population. Michael I. MacEntee, PhD, LDS(I), Dip. Prosth., FRCD(C) is Professor of Prosthodontics and Dental Geriatrics at the University of British Columbia. He established the ELDERS (Elders' Link with Dental Education, Research and Service) Group with colleagues at UBC to provide administrative structure to the service needs of our aging population and to the educational needs of dentists and dental students within an overall context of research. His research addresses oral health and quality of life in old age, with a particular focus on frailty and the psychosocial impact of oral prostheses. Frauke Müller, Dr. med. dent. habil., is Professor and Chair of Gerodontology and Removable Prosthodontics at the University of Geneva, Switzerland. Chris Wyatt, BSc, DMD, MSc, Dip Pros, FRCDC, is Associate Professor and Chair of Prosthodontics & Dental Geriatrics at the University of British Columbia. He is also Director of the Geriatric Dentistry Program.